Is there anyone who doesn’t love Grug? He has been a long-time favourite in our family for sure and I have certainly spent many happy library sessions sharing Grug’s stories with small people. They always loved to innovate our own Grug story through shared writing to follow up! Who can believe we’ve had the pleasure of Grug’s company since 1979? Look here for the animation of the original created by the author/illustrator Ted Prior. In this new adventure poor Grug is waylaid on his way home from shopping by a fallen tree blocking his path. When he detours around the log the path can no longer be seen and Grug finds himself lost in a strange part of the forest. Trees look scary with face-like features watching him and when a wild wallaby hurriedly leaps past him, Grug is really very anxious indeed. He has walked so far and worried so much that tiredness overcomes him and he falls asleep. On waking he begins to see some light peering through the dense trees and heads towards it. Oh joy! He has found Cara’s hollow log which means he is almost home. Little readers will share Grug’s relief at being home snug and safe again. Check out the fun things to do at Grug’s own website or find out more at Ted Prior’s webpage here. 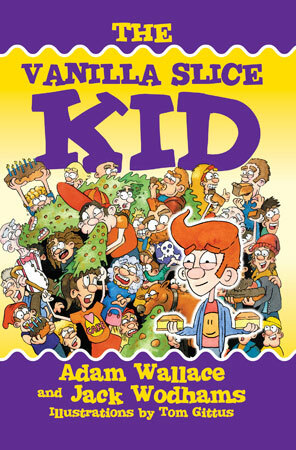 Highly recommended for younger readers from 2 upwards! Just hanging out with Grug! So R. L. Stine drove us all crazy over the past decade or so with endless Goosebumps books – but hey! They got the kids reading didn’t they? Since then his books have moved into an older readership and I have observed the success of these with boys and girls in lower secondary particularly. Now – look out! 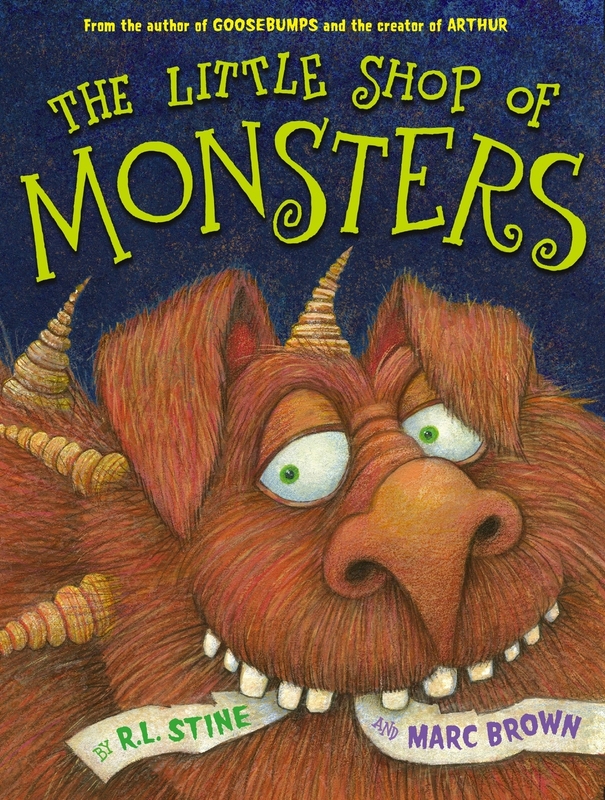 – he’s moving into the Junior Fiction picture book market with this very entertaining book about some very crazy monsters. Yes of course there are lots of kids (and let’s face it, some adults) who get a bit thingy about monsters but this is exactly what is needed to take the sting out of the unknown scariness. Though referred to as a shop the illustrations make this seem more like a rescue/shelter facility for the said monsters and as the children inspect each variety, there is a deliciously descriptive explanation of each. Any child who is harbouring a fear of unknown creepy monsters under the bed will giggle at monsters like Yucky and Mucky or Teaser and Squeezer – and though it is revealed that these monsters are smelly, vile and horrible – we can be quite safe as we check out each and every one. Then we can run away quite safely monster-free! I envisage that this would be a very popular read-aloud with many of our younger students. There are some juicy interactive moments such as guessing the name etc which will delight the thinkers in the audience. Have a lot of fun with this one – I know we will! Click here for a trailer narrated by Jack Black! 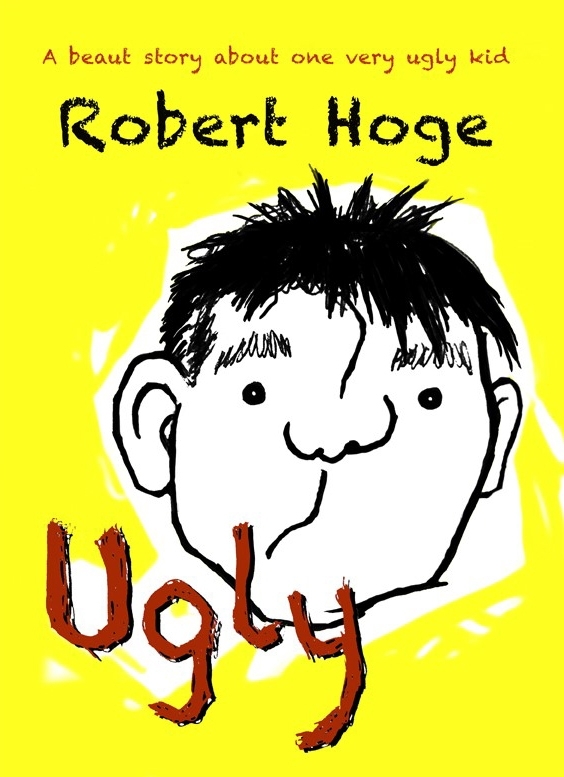 It has taken me a while to get to review this Younger Readers’ version of Robert Hoge’s successful memoir. My Year 8 students have been working on an English task which was to research and write a feature article about an inspirational hero and one of my young ladies had chosen Robert because she had started reading his memoir. I had just received this review copy so handed it to her in case she might find it helpful as well. Not only does the book come with her recommendation, she was so delighted that Robert responded to her email to him and she has been able to ask him questions directly. What a generous human! Thank you Robert – you provided this wonderful young girl with an amazing learning experience! Robert’s story is by now pretty well known to many adults who have either learned about his life via the book or the media but this new edition will bring his inspirational story to a whole new readership. When Robert was born with severe physical problems including a large facial tumour, his family’s life changed in many respects but not in the most important aspect. They were still a loving, supportive unit who when faced with a challenge rose to it with an admirable and enviable ease. But let’s not make light of this. This is an incredible story – of not only a wonderful human being but an exceptional family. Do yourself a favour and read it. Better still put this on your shelves! The Younger Reader version is eminently suitable for readers of around 10 and up. Without doubt the How to Train Your Dragon series has been a runaway success with avid readers from all over the world eagerly anticipating each subsequent instalment. The Dreamworks franchise which produced the movies has only built on the huge popularity of the books. When I speak of the reader fans, I’m not just talking about children here. For those of us who love dragons, nonsense, crazy characters and absurd humour these books are pure delight. 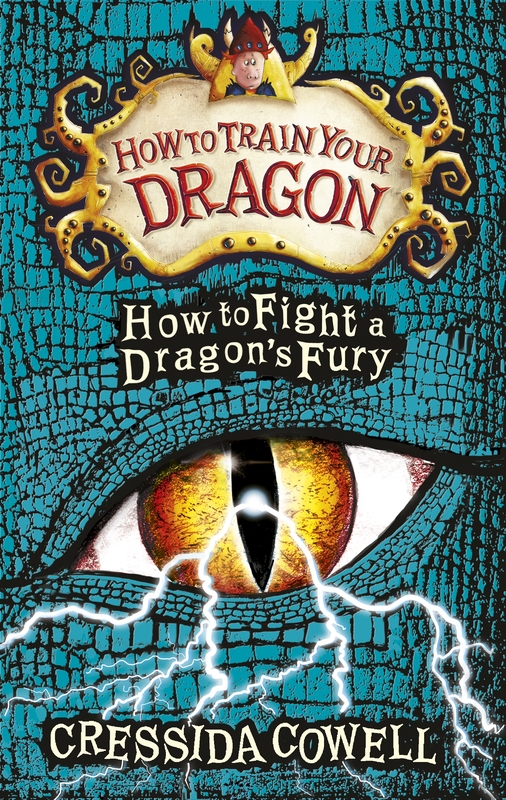 The latest in the series is How to Fight a Dragon’s Fury and once again Cressida Cowell has provided us with a saga worthy of the Viking tradition as our intrepid hero Hiccup Horrendous Haddock the Third continues his quest to protect his people and their dragons in the face of the revolting and conniving Alvin the Treacherous. You will no doubt remember the cliffhanger ending of the last episode when we were all left wondering if Hiccup truly was dead. But we all know that would be impossible – I mean to say, he’s the HERO! Yet his father Stoick the Vast and all his tribe saw him fall from the sky and believe that he is lost to them. Luckily that tenacious little Bog-Burglar Camicazi refuses to accept what would seem to be evidence and knows in her heart that Hiccup is alive and must be found. Not only must he be found he needs to get to the island of Tomorrow and be crowned the King of the Wilderwest. How can this happen when Alvin the Treacherous now holds all King’s Things. As usual the adventure is full of twists and turns, danger and despair, surprises and secrets and above all, laugh-out-loud humour as we follow the exploits of all the characters we’ve come to know and love – or loathe! Far be it from me to give away too much of the plot but suffice to say devotees will adore this book and Cressida’s quirky illustrations as much as ever. Well it’s clear we have our own contender to usurp Roald Dahl in the list of favourites for readers who love wacky and fantastical stories! When Archie Cunningham is born, it is apparent to his parents – a disgustingly greedy and vile pair of individuals – that their unwelcome baby had a very surprising superpower. Perhaps it had something to do with the revolting Mrs Cunningham stuffing down every form of cake she could lay her fat hands on during her pregnancy but perhaps it is just one of the enduring mysteries of the world. Whichever it is, immediately after his arrival young Archie produces tiny chocolate cupcakes from the palms of his hands! So despite the fact that his parents have not the slightest interest in their baby or a child at all, they are avariciously interested in his potential as a provider of the world’s most delicious pastries. Fast forward five years which have been lonely and isolated ones for Archie and his talent re-emerges after extreme provocation from his parents. They continue to ignore him as a child and look on him solely as a secret money making machine, providing the best edible delicacies on the market. But when finally Archie is allowed to go to school, his bizarre talent is revealed and all hell breaks loose. Secret agents, a megalomaniacal General, children collected for their unusual and special talents, Archie’s life does not seem destined to get much better. Except for one thing – Archie finds some real friends and though the odds look bad for them all, they prove that together they are stronger than any crazy bullies. This is a read which fairly gallops along at an amazing pace. And while the reader feels most sorry for Archie there is no doubt that there are many real belly laughs throughout as the ridiculous situations and grotesque caricatures continue. Definitely a winner for either boys or girls from around 8 years up, this is one to add to your shelves for sure!